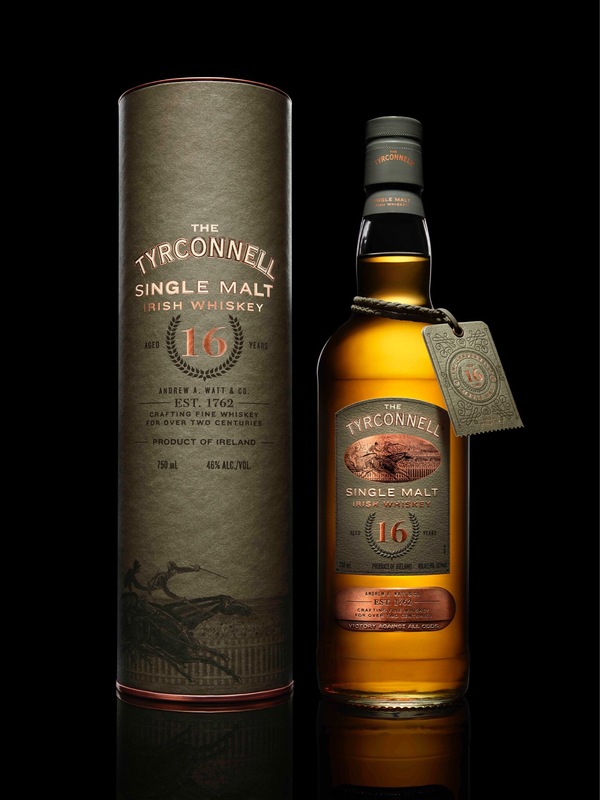 A limited edition 16-year-old Tyrconnell Single Malt. Have I got your attention? It definitely has mine. Tyrconnell, produced at the Cooley Distillery, is one of the few Irish whiskies that is double-distilled, as opposed to the more traditional triple-distillation utilized in other Irish whiskies. This 16-year-old expression was matured in American ex-bourbon barrels, so I’m expecting some creaminess and vanilla. It’s also bottled at a healthy 46% abv. Curious about where the name Tyrconnell came from? The whiskey is named after a racing horse that, in 1876, took the crowd by surprise and won first place at 10th running of the National Produce Stakes Horse Race. A family in that crowd also owned a distillery, and soon after produced a small batch whiskey named after the winner of the race – Tyrconnell. A whisky named after a racing horse? Love it. But how is it? The nose is full of fruit, especially cinnamon apples and tropical fruit. There are also hints of grassiness, vanilla bean, and ripe grapefruit. Honestly one of the fruitiest noses I’ve come across in quite a while. The palate closely follows the nose with crisp orchard fruits bursting upon entry, only to reveal some mango and honeydew. A slightly creamy spiced caramel adds some richness. I agree with the official tasting notes on the finish: “a very long, herbal spice-rich finish.” Specifically, I’m picking up a little dried thyme, ginger and a touch of black pepper. Thanks to Tyrconnell’s PR firm for the sample. As always, all thoughts and opinions are my own.